I love food and discovering fun new places to eat in NYC so I was thrilled when I was able to attend a Grand Opening Tasting Event at Dong Chun Hong a few weeks back. The recently opened Seoul export located in Koreatown serves a fusion menu of two of my favorite cuisines ~ Chinese and Korean. The clean modern decor of the space with elegant chandeliers and embellished artwork created by a local artist on paneled walls provides a pleasing dining atmosphere. Overall the food and service were quite satisfying. I think the dishes included in the tasting only touched upon a sampling of their entire repertoire as I spied a vast menu with many intriguing fusion style offerings along with a number of meal set options on their website. And they serve Jjamppong! That in itself dictates a return visit to try. Very interesting place! Thank you for the info! I love the floors and the chandeliers. I also think it's nice they separated the people on the banquette seating with panels so you maybe feel like you have a bit more privacy even if you don't. It's too bad that Korean food isn't usually vegetarian because it always looks and smells so good! Thanks a lot for your kind comment!!! 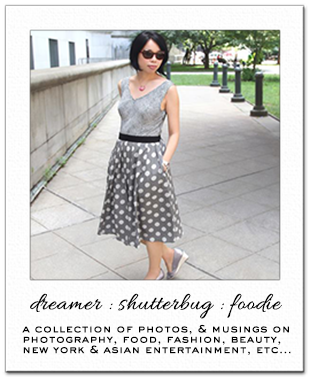 I start following you on BLOGLOVIN & GFC, hope you'll follow back on BOTH!!! everything looks amazing! i love finding new places! What an elegant dining area, love the chandelier. I've never tried Korean food before (I don't even think we get it here in SA) but from your pics, it looks so divine! Thank you SO MUCH for your vegetarian Korean restaurant recommendation. I'm definitely going to stop either there or their cafe when I visit Manhattan in the spring! I can't wait to try it! I've been a vegetarian since high school, so it's been a while. It's always nice to find places that have vegetarian options at least but it's even better when I can choose anything I want. 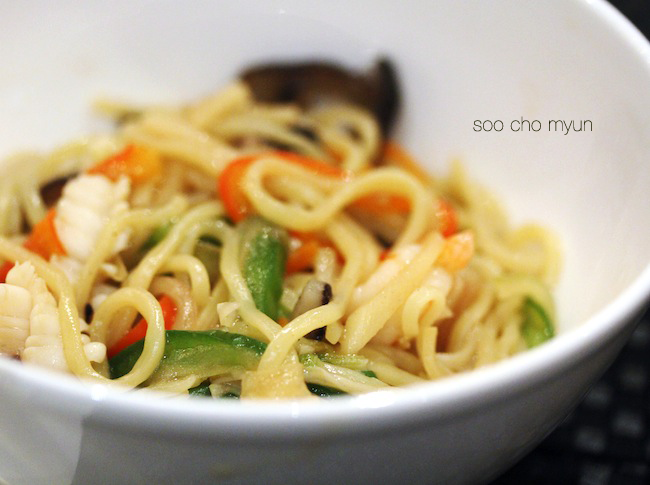 your pictures made me so hungry.. craving some korean food right now! What the heck, feed me! I love Korean food! nice! i have to try this out!! I'm envious of the options available to you in NY. I miss Asian food so much since moving to the UK. Mmm Korean and Chinese. 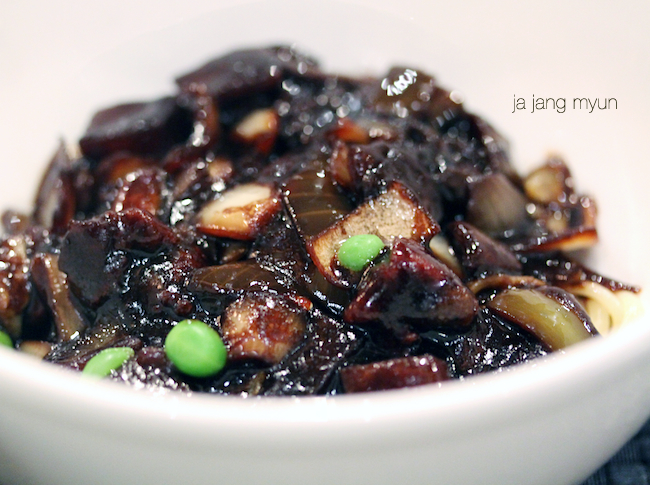 I love ja jung myun and now you're inspiring me to make some soon! i will definitely visit this place! 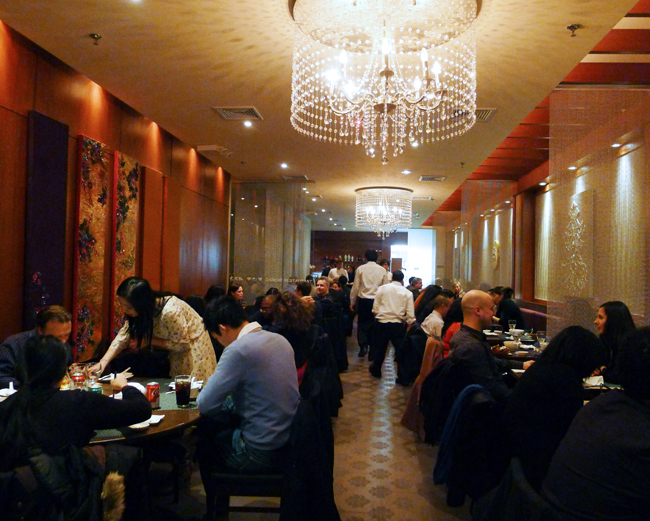 what was lacking for the crowded k-town in manhattan is a good chinese/korean restaurant! looks delicious ! :D nice photos ! The decorum is so pretty Rolala! Those chandeliers are gorgeous. Ummm yeah! 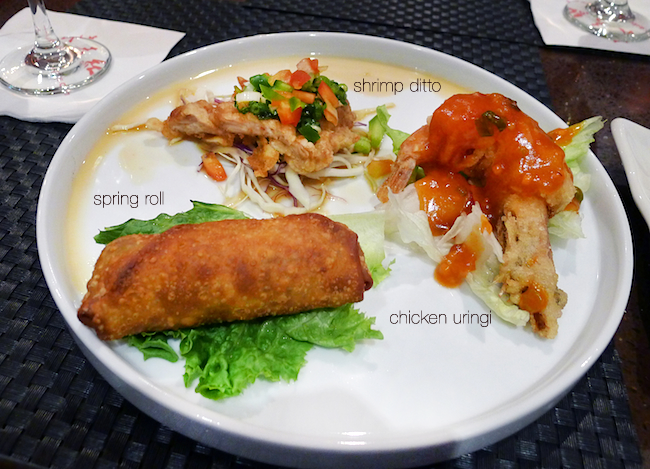 I'll take that 1st plate with the chicken, spring roll and shrimp ditto PLEASE! hahaha Oh Gawd girl that food looks delish. Thanks for sharing this! Yuummm! I need to try this place when in NYC next. The decor looks pretty sweet too! Aww, this looks so delicious! You´ve just made me hungry! Holy night that looks amazing! This looks like it's yummy! I will have to try it (or at least write it down to try) for my next trip to nyc! I really love the decor. The food looks so delicious. This place is so great. omgosh this place looks AMAZING!! the decor is GORGEOUS haha i've never seen a chinese/korean place look this nice and the food looks SOOO DELICIOUS!! The food looks so delicious, I love ja jang myun!! I order it every time I go to Korean resaurants! The food looks amazing. I agree that Chinese Korean fusion cuisine is wonderful. Thanks for the introduction!